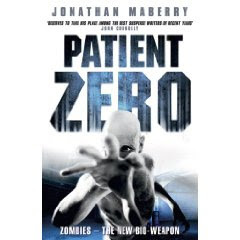 The Department of Military Sciences is a new top-secret agency set up in the US to combat a new terrorist threat – an incurable pathogen that turns people into zombie-like Walkers that could wipe out the entire planet if released. Joe Ledger is a cop recruited to the agency, Sebastian Gault is the pharmaceutical mogul hoping to make a fortune from the cure, and El Mujahid is the terrorist trying to destroy them all. The story unfolds mostly from the perspectives of these three characters and combine to create a book that gives me a big problem: I’m going to have to use a horrible made-up word. It is un-put-downable.